Thank you so much for this resource. I am delighted to find a number of knit designers there who have been favorites of mine for some time as well as some exciting new to-me inspiration. 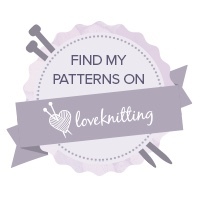 if you would like to check out her page, you find crochet patterns and tips, sewing, cooking etc. she is so creative! she is from Turkey and living in germany. muslima and wearing a hijab. My sister tole me about you taoday. I look forward to following you and thank you for the list. My sister told me about you today.I look forward to following you and thank you for the list. Thank you for your hard work in providing us with this list doesn’t cover it…So much work you put into this and it is clear it comes from your heart and this is a working in progress for you. I have found some incredible talent through your list…thank you! I sincerely hope there is no copying of your list going on as sadly I find that many in our fibre community are now repeating written words only because they have been prompted and feel they need to say something. I am not sure how sincere some of it is, i hope it is to keep the discussion going and not just to keep their follower numbers stable. All of us, no matter what colour our skin is, what background we come from or anything else need to constantly work on this. We are all responsible to be inclusive and kind. On a different note; I hope your parents are ok and you are not overdoing things for your own health.